The renowned Cuban freediver, born in Matanzas in 1962 and american nationalized Francisco “Pipín” Ferreras, who has an outstanding career of more than 30 years in the world of apnea with more than twenty records and world titles in this discipline, returned this Sunday December 9 to the depths of the sea, this time in Cap Cana, Dominican Republic, where he would try a new world record in the modality of apnea no limits, in the category master for people over 55 years. 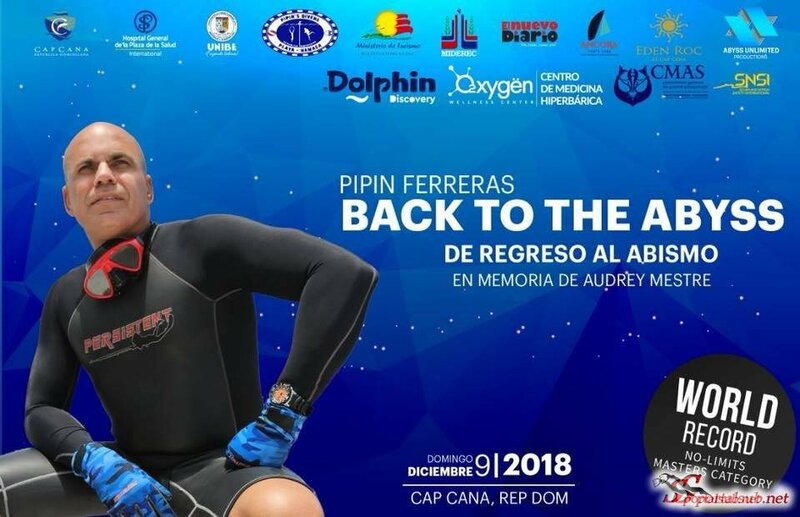 The event called Pipin Ferreras Back to the Abyss (Regreso al Abismo) would be in tribute to his ex-wife Audrey Mestre “The Ocean Woman”, who died in a world record attempt in 2002 also in the Dominican Republic. 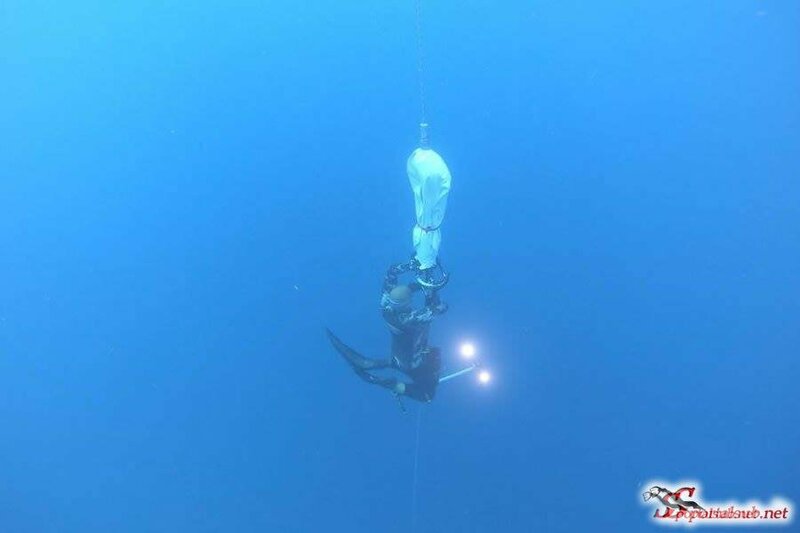 The details of the event were reviewed in the social networks of Pipín, who would try to submerge to a depth of more than 100 meters, in this modality where the freediver descends with the help of a sled and climbs with the help of a balloon, allowing to reach the greater depths in this sport. However, in a publication made on the social networks of the freediver, Pipin explained that due to bad weather and to protect his security team, the event was suspended and postponed for next year. Fighting against the ocean you never win that’s something I’ve learnt along time ago. We were suppose to do the attempt in Cap Cana where we trained for two weeks prior but very strong east winds came in and we had to change location 20 kilometers south to Boca Chica where the wind allowed us to train for two days. Today we were more then ready.. then 17 mile winds picked up…we still headed out but when we got to the location the waves were up to 8 feet high and many got ill due to sea sickness, that’s when we all decided to cancel the dive. My safety divers and medical team all agreed to call off the attempt. We were all disappointed but know safety comes first. Part of my safety team has to return to Europe in the next couple of days so my producers and I decided to postpone the record for next year. Legendary director and producer, @brettrat was there to film the drama of today’s events for an upcoming documentary we are working on. @univision and @elnuevodiariord were there also today to cover the full story,so follow them on shows like @elgordoylaflaca and many more. I’ll make sure to post clips also! Thank you for the love and support through this journey everyone, I appreciate you all!